Saturday, March 9, 2019 3 p.m.
Sunday, March 10, 2019 11 a.m.
* Students, seniors 65 years +, AQM members or purchasers of three or more tickets. Taxes and ticket processing fee included. Tickets at discount price purchased online or over the phone will be available at the venue before the show. Valid photo ID required. This simple and warm story illustrates the relationship between Humans and Nature through the friendship between a young boy and tree. We first see the man as a boy, then as an adult, and finally as an old man, who keeps coming back to the tree to ask for more. Even stripped of everything – its fruit, branches and trunk – the tree happily continues to give. L’Arbre généreux (The Giving Tree) uses the most basic material: paper, whose simplicity allows both delicate and strong images to emerge. Published in English in 1964 and in French in the 1980s, this humanist fable resonates much more intensely today, as environmental issues seriously question our relationship to the world and the very nature of our relationship to the other. An environmental fairy tale? A story about tenderness? A paper dream? A show for children? For adults? L’Arbre généreux will be whatever you make of it. 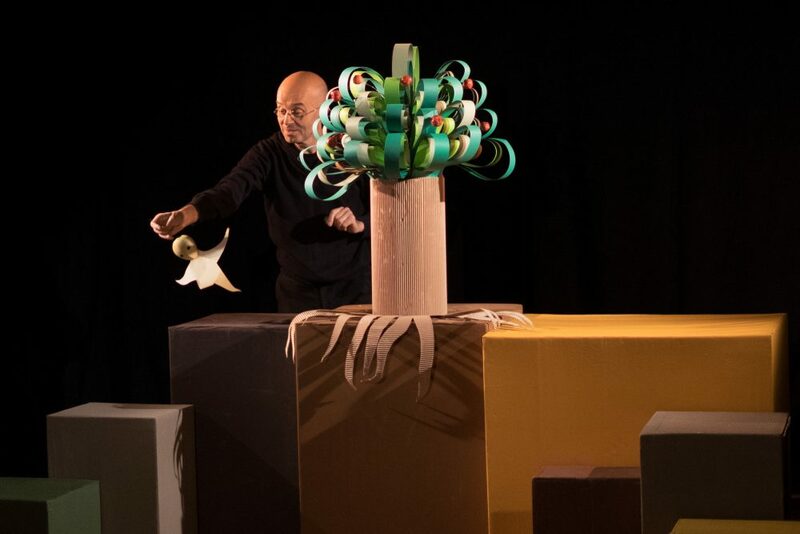 For over 30 years, puppeteer and performer Philippe Rodriguez-Jorda has presented his works in Europe and around the world. 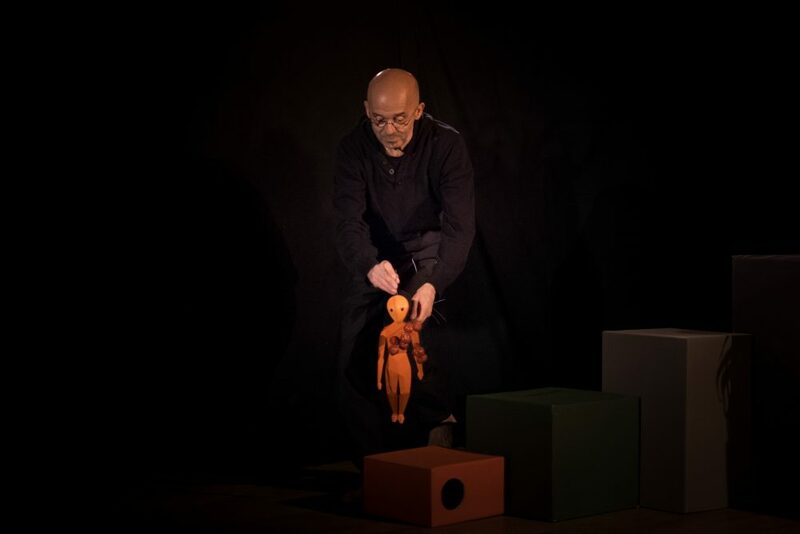 His shows and performances combine puppetry with other art forms (circus arts, baroque music, contemporary dance, musical improvisation, theatre and cabaret). For L’Arbre généreux, he happily reconnects with stage director Florence Thiébaut who generously mentored him during his first years as a puppeteer. L’Arbre généreux will also be presented at the Domaine de Maizerets in Québec City.